Serving fish to my family is always a “thing” . They are quite picky when it comes to any kind of fish, except fish fingers – they seem to love them! 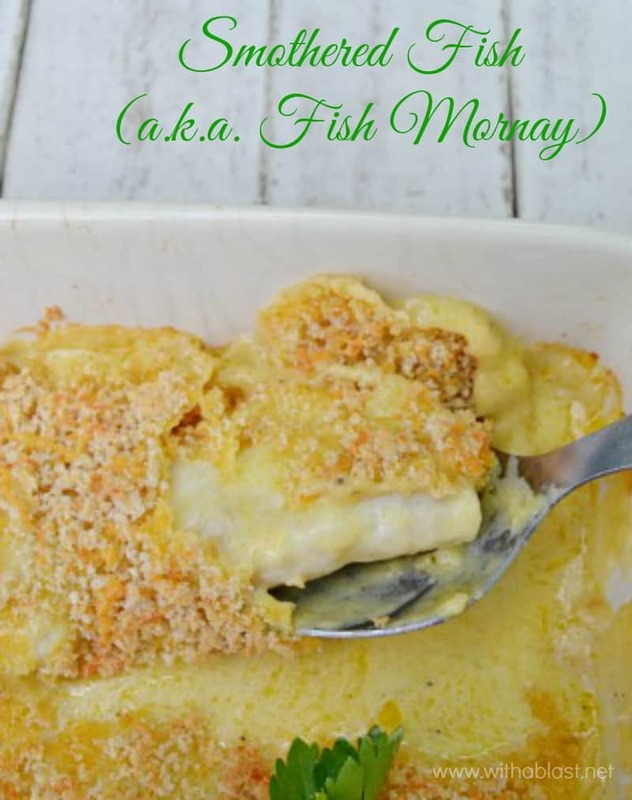 But they do love this Smothered Fish recipe which is also known as Fish Mornay and we never have any leftovers (seconds are usually requested). 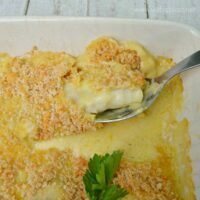 Fish Mornay is usually the name used in restaurants, but it could be anything, not only Fish, as it is a thick cheese sauce with a bit of crumble on the top. I actually use this same sauce recipe over mixed vegetables as well. 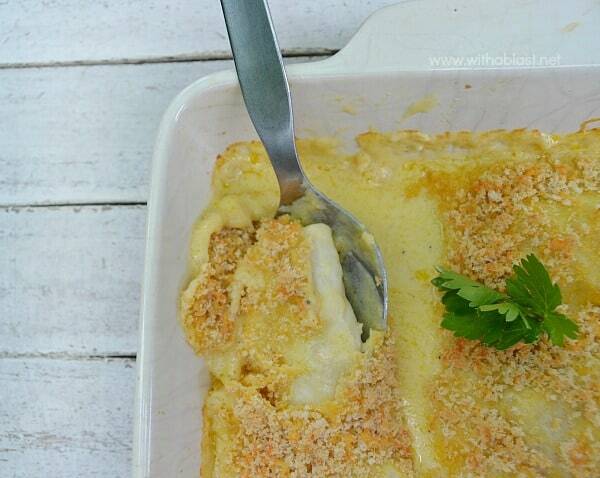 My favorite fish to use is Haddock, but it is a little pricey and also not always available. You can use any kind of fish or even chicken is delicious with this sauce. Add some Mozzarella cheese to the topping for some extra cheese gooey-ness ! 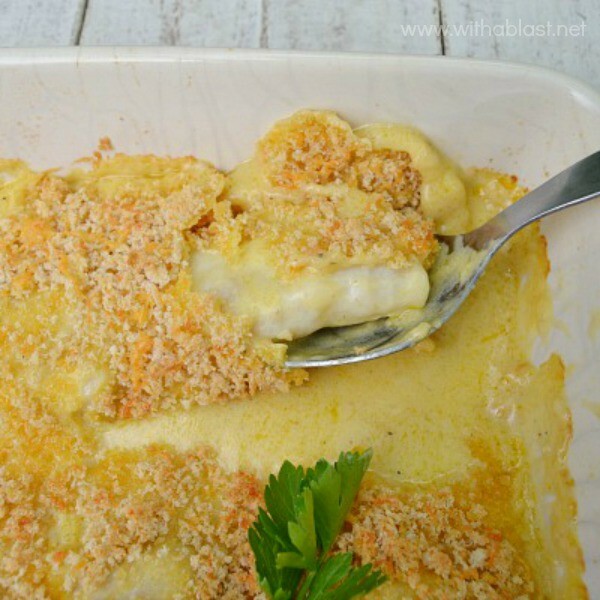 Mozzarella is not too strong and will not overpower the taste of the Fish Mornay. Serve with mashed potatoes and vegetables on the side. This sounds delicious! I'm always trying to get my kids to eat more fish, I will have to give this a try. Oh I love fish and can't wait to try this recipe! I'm sure it will be a huge hit. 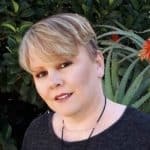 Thanks for sharing with Creative Spark Link Party. I love fish of any kind, any kind of way. But I have a huge soft spot for creamy sauce. Looks delicious!